I have been rekeying the homes in the spring and surrounding community for 10 years, trying to be the most honest and affordable locksmith in Spring Tx. The advertising sources in this area are littered with unlicensed locksmiths and companies trying to get customers to let them come out, then they mislead customers into costly repairs. I’ve been helping people rekey there homes, repair door frame damage, and install new locks. 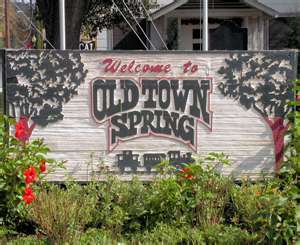 I can be anywhere in the spring oe Conroe area in less then 30min. So the next time you need a lock repaired, rekeyed, or replaced call Leino’s Lock & Key. Servicing area’s from Conroe, Tomball, Magnolia, The Woodlands, shanondoah, Champions forest, creekside, cypresswood, spring cypress, aldine westfield, and sawdust-rayford. 24hr Lockout services, call for imediate Locksmith service! You should always be able to put a certain level of trust in the locksmith you choose. Always ask to see a Registration card! Any excuse for not having one is a lie! Every licensed locksmith is required to carry their pocket card everywhere! Scam companies usually have a bait and switch tactic to increase the price after being called out. The most comon phrase from an unlicensed company,"$15-$39 service call, the technician will call you (from a blocked #) to give you pricing." If it sounds to good to be true it probably isn't worth the headace!